Hotel Business Intelligence is the “Business Analytics” Solution designed for the Hotel Business. 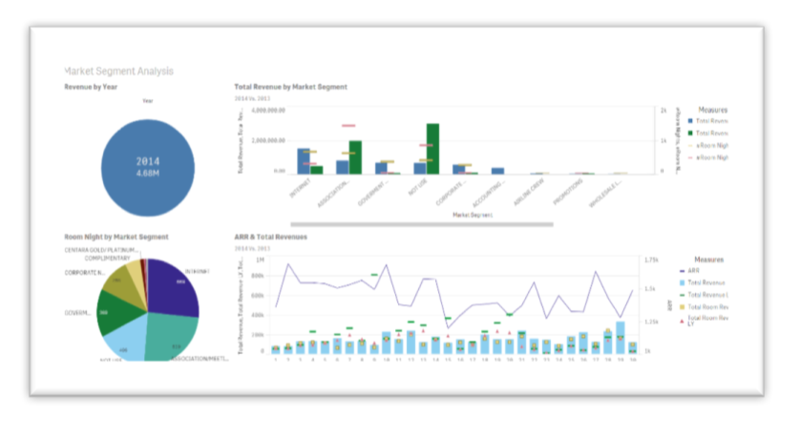 Hotel Business Intelligence will handle the complicated task for you. It will gather the data from all operational systems to conduct a data multidimensional views for your organization to easily explore. From the Hotel Business Intelligence Server can serve the information to you and your team on demand from everywhere and at any time. What are the concerns on day to day operation at the hotel? 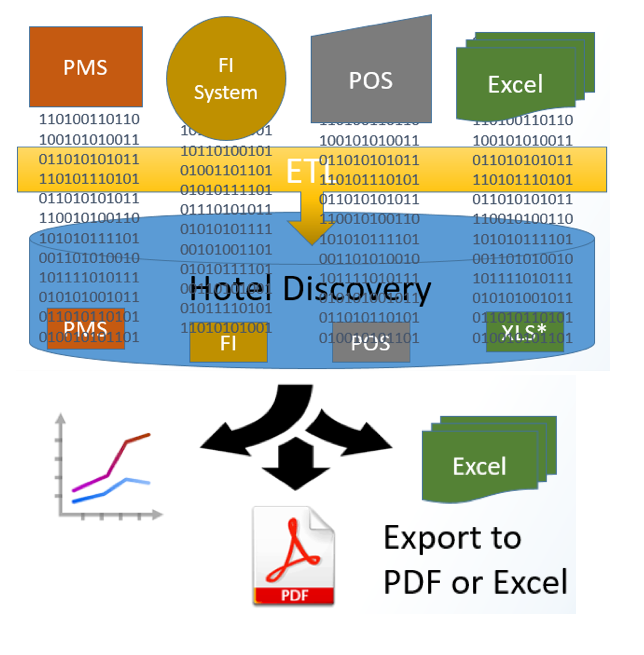 Why we need the Hotel Business Intelligence? 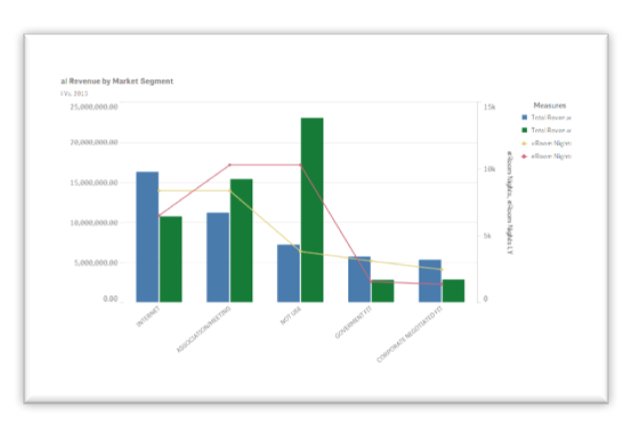 Compare revenue by your predefined Data Grouping such as by Market Segment. 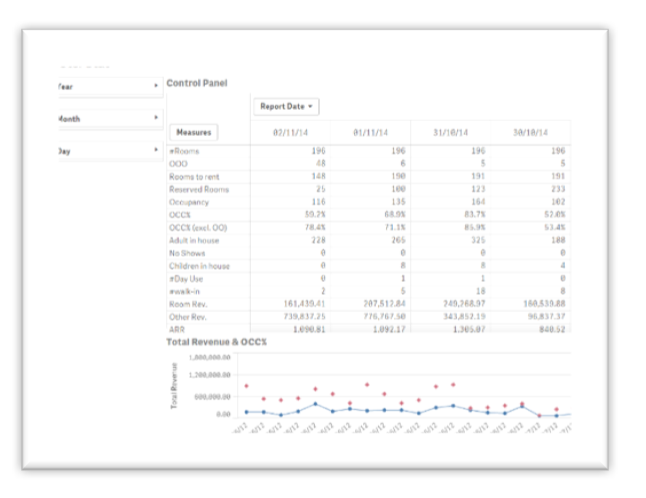 Moreover we can customize the grouping of data on the graph without bothering your Operation team. This can present as per your desire view on the fly. you can look deeply into the lower level follow the predefined hierarchy of related data set. Example illustration is the Average Room Rate & Total Revenues by Market Segment. This is a view of Annual Comparison report. Similar view on your PMS as we captured data from your operational system on daily basis to produce this view. The advantage is during you analysis work that you no need to switch back to your operational system to find the information. 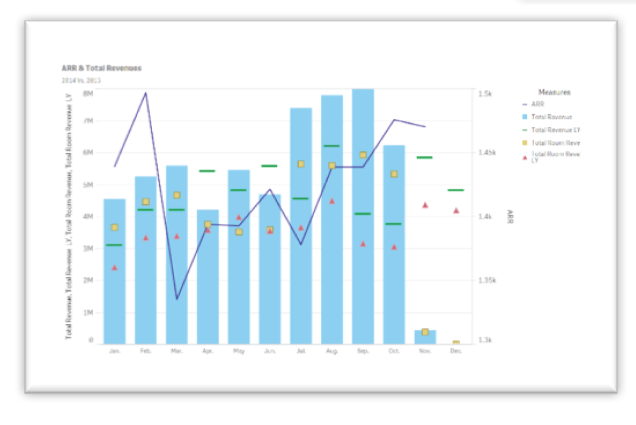 You can acquire from Hotel Business Intelligence. Second advantage is you can add any computed field of data into the graph. Example scenario relates to this graph is if hotel wants to add ARR (or ADR) to the graph, Hotel Business Intelligence can simply implement this for your hotel. Describe about revenue and room night by Market Segment. This can view by Year/Month/Day with drilldown capability. So, on the same view you can see from any aspect of you interest. To analysis about the performance, Hotel Business Intelligence also supply the figures of Average Room Rate (ARR) by Market Segment. What is the origin of your guests? What are the Market that the came through? What is the Average Rate that we can make on each of them? In term of revenue, who can generate revenue and room night by Market Segment. This can view by Year/Month/Day with drilldown capability. So, on the same view you can see from any aspect of you interest. To analysis about the performance, Hotel Business Intelligence also supply the figures of Average Room Rate (ARR) by Market Segment.